If you need something to reaffirm your faith in humanity, know that Stephen Hawking’s first ever Reddit AMA, held on Thursday, was the third largest in the history of the event, with more than 9,000 comments to the thread. And while topics ranged from Rod Stewart to The Big Bang Theory, the conversation predictably steered mostly toward robots, AI, and humanity’s eventual doom. Hawking fielded question after question about whether AI would want to destroy us, whether it could, and just how soon he expects it to happen. 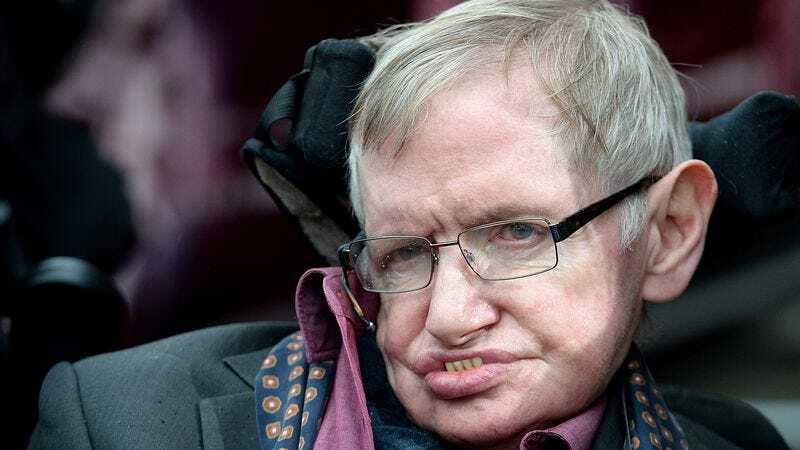 And while the prognosis doesn’t look too great for people if they ever stand in the way of free-thinking robots, Hawking was sure to remind people to go on living their life. There’s no consensus among AI researchers about how long it will take to build human-level AI and beyond, so please don’t trust anyone who claims to know for sure that it will happen in your lifetime or that it won’t happen in your lifetime. When it eventually does occur, it’s likely to be either the best or worst thing ever to happen to humanity, so there’s huge value in getting it right. We should shift the goal of AI from creating pure undirected artificial intelligence to creating beneficial intelligence. It might take decades to figure out how to do this, so let’s start researching this today rather than the night before the first strong AI is switched on. Check out the full AMA here.